Nice restaurant in Shirlington. Great food, welcoming staff. The waiter is great. Food is average. Aperol Spritz was on point as were all of the small bites on the happy hour menu. I ordered a main chicken dish that I can't say I was a fan of, but I think if you go with pasta you can't go wrong. Their wood-fired pizza, is a must try and I loved the boquerones. Very kind and helpful bartender, he recommended a very nice beer to our party.Highly recommend for happy hour! I would not rate a 5 based on my experience with the chicken dish but definitely a solid 4.5. Daniel was a very amenable server. We enjoyed our food, in particular the Spinach Ravioli. We were only disappointed that Nino didn't stop by to say hello as he has before, he's so personable. We've been here before, we'll be back again, thank you. Food was really good. I did wait a while to get my food, and the staff was nice enough to comp my glass of wine because of the wait. I had the cauliflower soup and carbonara both super flavorful. Fabulous food. Excellent service. We will go back. Food, service and ambiance were great! Great food for amazing prices. We had the ceaser salad, muscles, warm olives, tuna tar tar, and Prosecco. Every dish was truly tasty and fresh. And the happy hour prices were unbeatable. I’ll absolutely be back for a dinner. Wonderful food and atmosphere. Wonderful host and hostess. Delightful visit. Thank you. I am trying to select #5 and it does not seem to be registering. If it does not register properly, I am definitely giving them a 5. Great food. Beautiful ambience. Friendly service. Love Da Nino's...real neighborhood vibe and great Italian food....expertly prepared. Excellent Italian food. The owner is Italian and knows to make it authentic. I enjoyed it all around. It was wonderful - drinks, food and staff! Loved Ostetia da Nino! 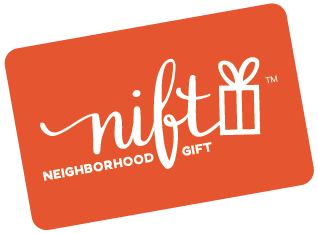 Would have never tried it without the Nift card, glad we got there. This could become our regular date night spot! Nice ambiance, very friendly staff, good food. Nice atmosphere. Able to have normal voice level conversation due to good table spacing and good acoustics. Food was very good as was the wait staff. Wonderful place for brunch. The owner and staff were very helpful and the meals were delicious! Will certainly go there again.